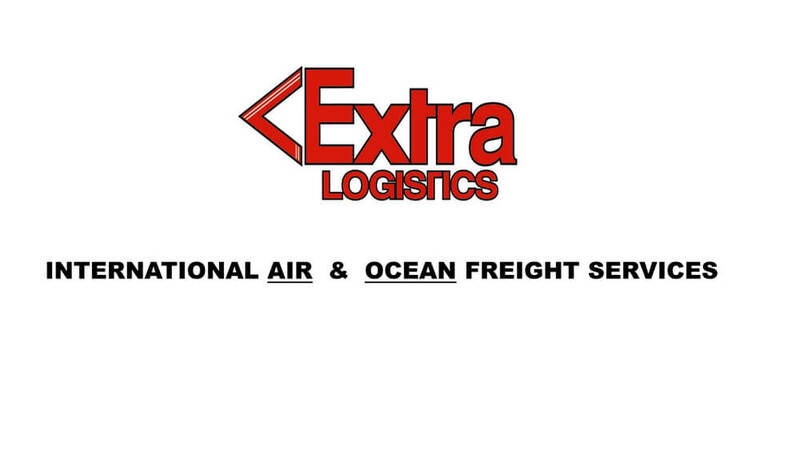 Extra Logistics, LLC is an independent Supply Chain Logistics service provider of reliable International Air and Ocean freight services. 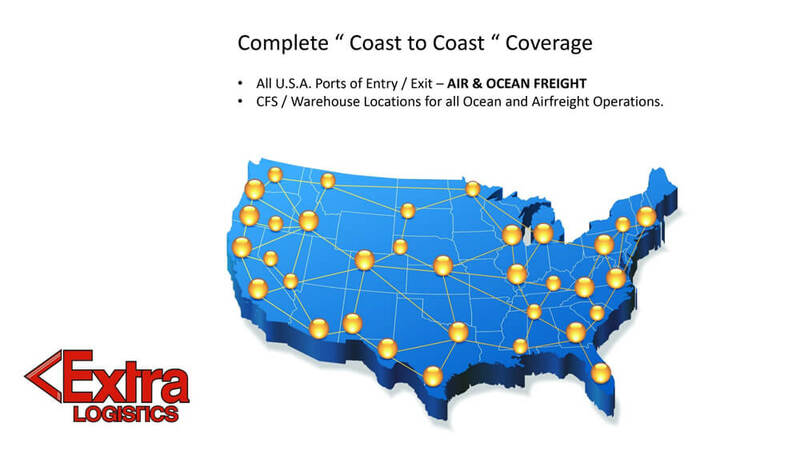 With a centralized North America customer service center and cargo receiving facilities in all major USA cities, Extra Logistics provides real time cargo logistics services between all points in the USA and Worldwide markets. 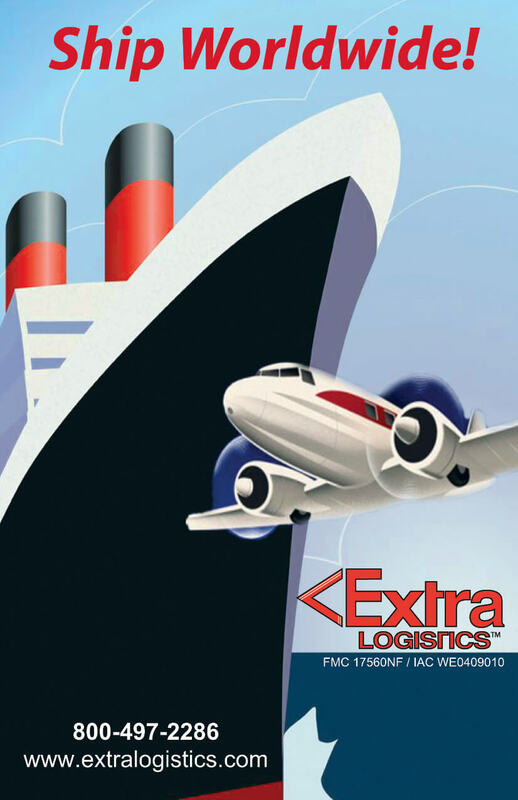 Our services extend from small express packages to oversize project cargo by Air and Ocean services. 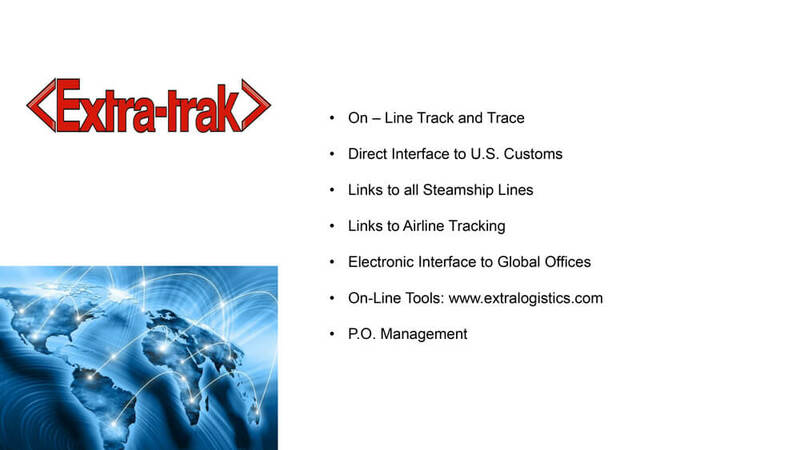 Extra Logistics maintains long established affiliate offices throughout the world on all continents, which provide local market knowledge and service dedication. 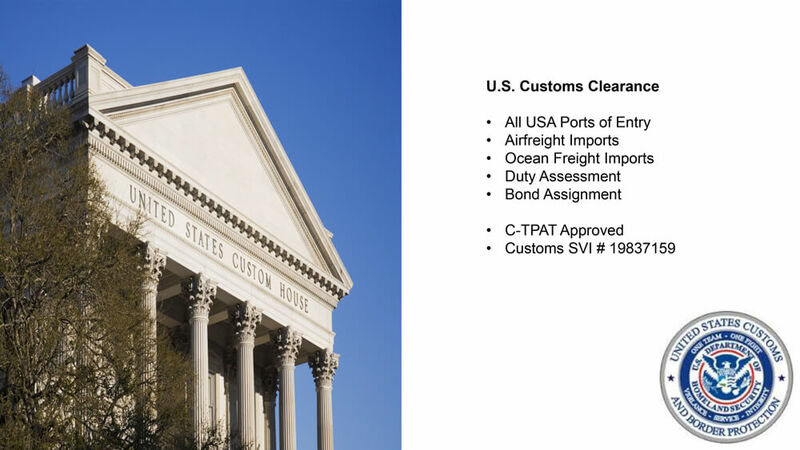 Established in 2001, Extra Logistics is registered and bonded with the Federal Maritime Commission, Indirect Air Carrier accredited by the Transportation Security Administration and C-TPAT certified since 2004 with United States Customs and Border Protection. Delivery of complete Submarine for Foreign Navy. 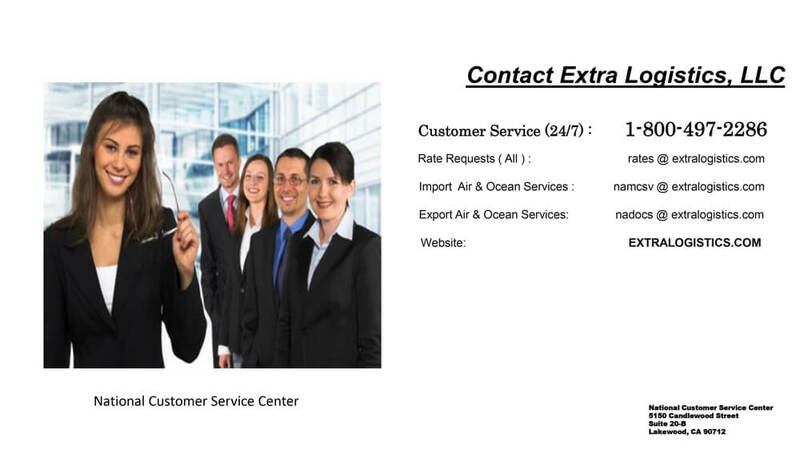 ASN Portal Procurement / Distribution of Brand Name Footwear. Performance Race Car - Team Equipment. International Surf Event Camera and Set to Island location. Vehicles to National Television Show. 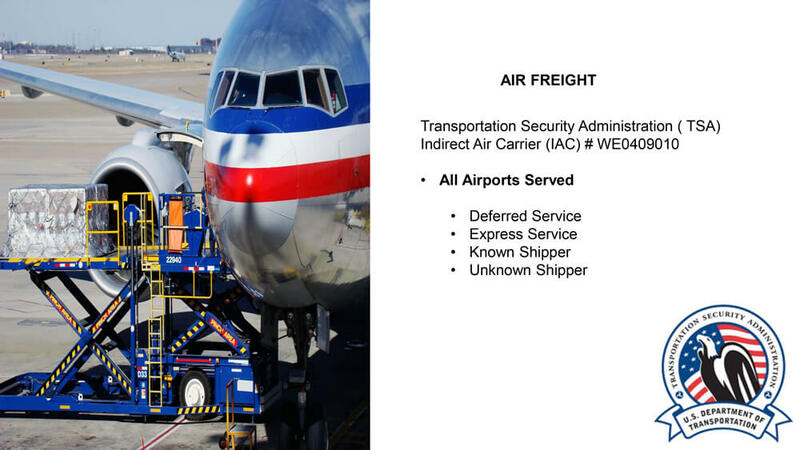 Golf Carts by Air Freight for International Golf Tournament. 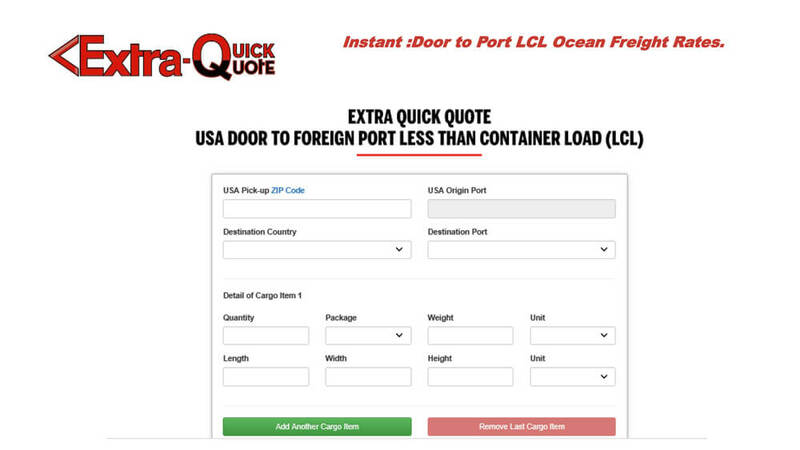 To provide our clients, with the most professional integrated freight forwarding and global logistics service tailored to exceed levels of client satisfaction. 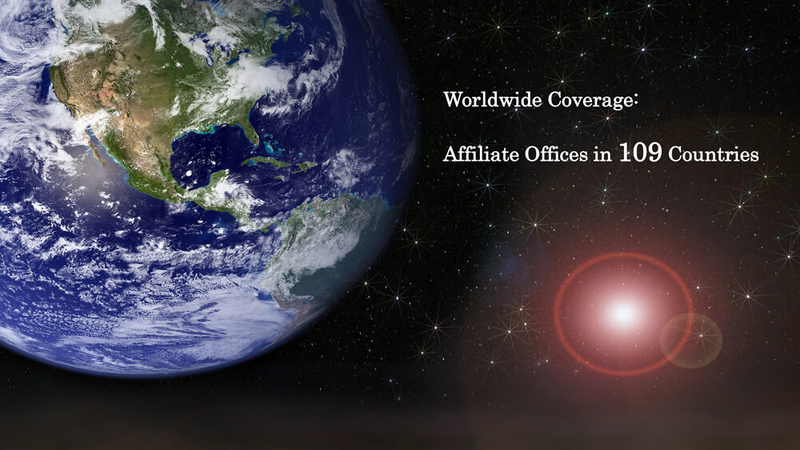 To provide our clients with value added and competitive pricing solutions for services rendered. 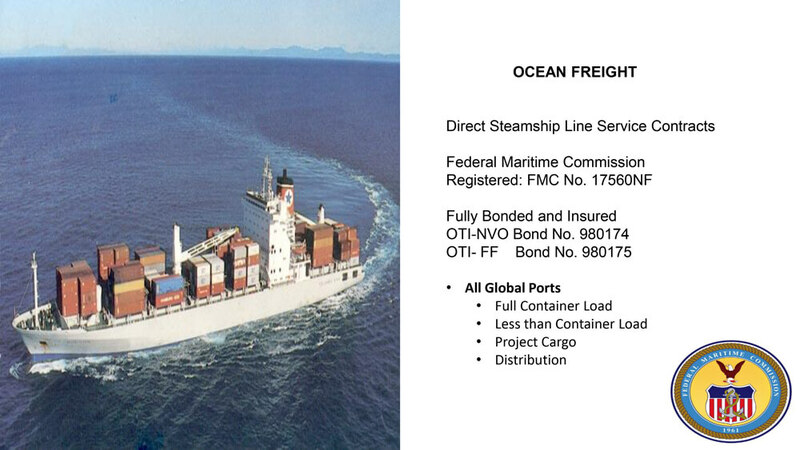 Transportation Co compatibly performs according to its specifications and responsibilities which is based on its mission.